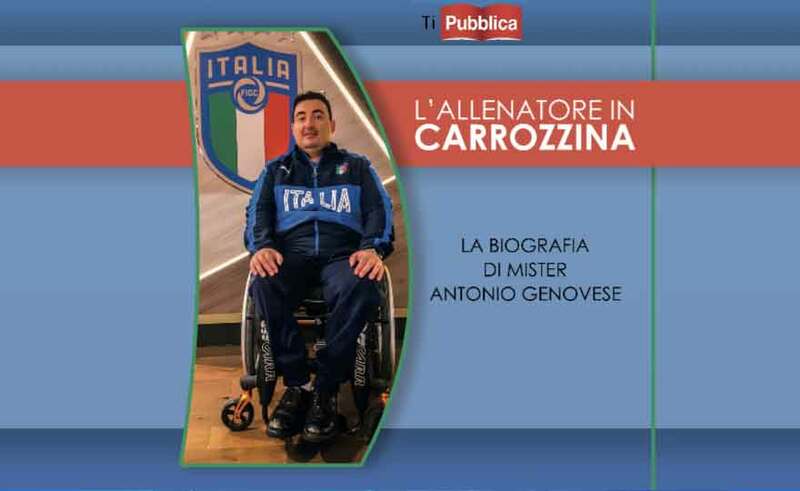 "The coach in wheelchair", is the biography of Antonio Genovese, a young technician with a UEFA B license (and shortly "doing the debts oaths", we are quoting, about to achieve UEFA A, that is, the license to train teams too of the highest series) that did not want to give up in front of the tests that life has put in front of him. Artemio Scardicchio (former author of "History and stories of women's football" and "My Brescia") tells with lightness and passion the story of this boy who could be that of many others, but they did not have the courage to go out like him uncovered. "Until recently I did not think about the possibility of telling my story in a book - says Genovese - also because the right person was needed to do it. Then speaking with Artemio, so by chance, we got the idea and we decided to put it into practice. One of the reasons why I have finally decided to talk about what has happened to me is not just to help all those who have closed themselves in fearfulness. A wheelchair can not limit your life. I decided to roll up my sleeves, I decided to live ". On the incident: "It was not easy to face that part of the book, either because it has been a long time or unconsciously our brain tries to 'preserve' it by putting the worst memories in a very deep drawer of our memory. But it was absolutely worth it ".